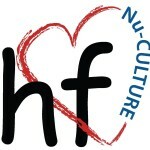 Nu-CULTURE (pronounced “new culture”) is the Healthy Futures classroom-based relationship education program for grades 6-8. Dedicated to Cultivating Urban Leaders Through Unique Relationship Education, this program provides youth with the tools and resources needed to make and maintain healthy choices and be positive role models in their communities. 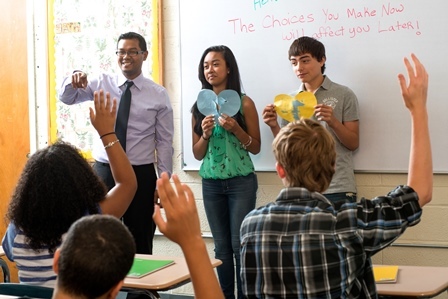 Nu-CULTURE is a 24 session program developed by Healthy Futures that provides middle school students with the knowledge, skills, and self-efficacy necessary to delay sexual activity and avoid the risk of teen pregnancy and sexually transmitted infections. Nu-Culture includes a variety of engaging activities designed to maximize student participation, including small group activities, role-plays, audiovisual materials, and daily parent connection forms. Nu-CULTURE helps students understand the risk associated with early sexual activity and develops skills necessary to make healthy decisions and avoid risky behaviors. The program emphasizes increasing skills and self-efficacy in communication and refusal skills using through age appropriate, medically accurate information about teen pregnancy prevention, sexually transmitted infections, and other sexual health topics. Nu-Culture includes daily parent connection forms designed to engage parents in the topics covered and encourage open parent-teen communication. Influence attitudes, behavioral and normative beliefs, and self-efficacy regarding healthy relationship choices and risk-reduction behaviors by creating a Nu-CULTURE where healthy choices are supported by peers and family. Strengthen beliefs about the benefits of delaying sexual activity. Share accurate information on contraception. Increase intentions to delay sexual activity. Develop leaders to be positive role models to their peers and communities.